One Health (OH) is an interdisciplinary approach aiming to achieve optimal health for humans, animals and their environments. Case reports and systematic reviews of success are emerging; however, discussion of barriers and enablers of cross-sectoral collaboration are rare. 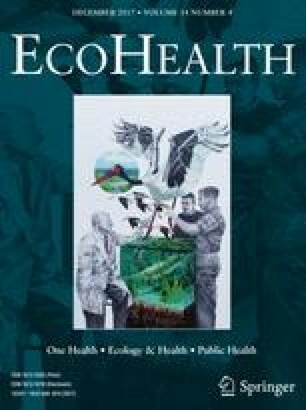 A four-phase mixed-method Delphi survey of Australian human and animal health practitioners and policymakers (n = 52) explored areas of consensus and disagreement over: (1) the operational definition of OH; (2) potential for cross-sectoral collaboration; and (3) key priorities for shaping the development of an OH response to significantly elevated zoonotic disease risk. Participants agreed OH is essential for effective infectious disease prevention and control, and on key priorities for outbreak responses, but disagreed over definitions and the relative priority of animal health and welfare and economic considerations. Strong support emerged among Australian experts for an OH approach. There was also recognition of the need to ensure cross-sectoral differences are addressed. The online version of this article (doi: 10.1007/s10393-017-1264-7) contains supplementary material, which is available to authorized users. We are indebted to our colleagues at the National University of Singapore for permission to use elements of their study design as a starting point for our Delphi survey. The work in Singapore is being conducted through the One Health, Zoonotic Diseases and Pandemic Planning Project: Creating a Bioethics Framework in Singapore; MOH/CDPHRG/0011/2014; Communicable Diseases Public Health Research Fund, Ministry of Health Singapore. Our research was funded by NHMRC Grant #1083079 Can One Health strategies be more effectively implemented through prior identification of public values? Phillips N, Bridgeman J, Ferguson-Smith M. The BSE inquiry. London: http://www.bseinquiry.gov.uk accessed on 12 February 2012: Stationery Office, 2000.